Everyone has their own secret perfect bratwurst recipe. Not being from Wisconsin, I can’t tell you if this recipe is perfect or not. What I can tell you is this recipe has produced for me some very delicious bratwurst. I have heard people say the Secret to great bratwurst is to simmer them in beer first (Really? Gee no kidding? ), or cook them slow or make sure the fire is the right temp. In my experience, the secret is simply patience. 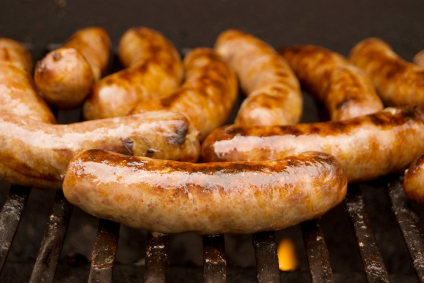 How long to grill bratwurst depends on how you grill them. You can throw them straight on the grill which will take about 25-30 minutes or boil the brats in beer, wine or water for about 20 minutes. After boiling, then they are grilled for 4-6 minutes. Boiling them first (also called par-poaching) in beer first improves the flavor so dramatically its almost a sin just to throw them straight on the grill. Regardless, brats take a little while to cook thoroughly. If you rush, you could easily end up with a bratwurst that is burnt on the outside and not so done on the inside. If not handled properly, the long cooking time often burst the brat’s thin skin letting all the glorious juices out, causing a dried up brat. Due to the large German population, Wisconsin is known for their beer and bratwurst. Germans brought their bratwurst sausage recipes as they settled throughout the area in the 1800’s. Bratwurst is traditionally made from pork, although there are bratwurst that are all beef or other meats. In selecting which brand of brat to cook is a personal choice. 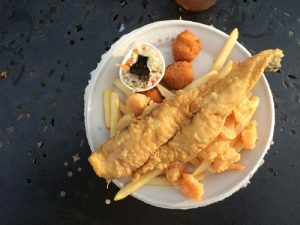 Johnsonville is a popular national brand and is as good as any, unless you live around Wisconsin, where you can find many delicious alternatives. If you have a gas grill, the sideburner is perfect for this. Cut the onion in half and slice. Slice the green pepper into 1/4 inch wide strips. In a 2 quart saucepan, sauté the sliced onion and green pepper in 2 tablespoons of butter for three to four minutes. Remove 1/2 of the sauteed onions and green peppers and place in a bowl covered with foil to keep warm. (You can use these on the brats later) Leave the remaining onion and peppers in the pan. Next add 1 bottle or can of beer and 1 cup of water and bring to a low simmer. Never boil bratwurst –it will break open the skins. A low simmer is when there is steam rising off of the water and no bubbles are coming to the surface. You can use any beer, but full flavored Mexican beers like Corona or Tecate work great.Light beer is not recommended. Simmer the brats on low heat for 20 minutes and remove. (Discard the liquid and peppers). Take your simmered brats straight to the grill. Be careful not to break the skin. Grill on a low setting. the key here is low and slow. 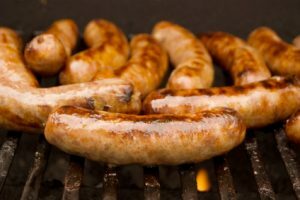 Brats can be cooked either directly over the fire or indirectly, where the fire is on one side of the grill and the food is grilled over the unlit portion. This allows the bratwurst to cook with little risk of burning from flare ups. Grill the brats for 4-6 minutes total, turning often until brown. They are now ready to serve. Use only tongs to turn. Using a fork or anything else that can poke holes in your brats will let all the good juices out and result in a dried out brat. Flare-ups from the dripping fat will cause the outside to burn as well. 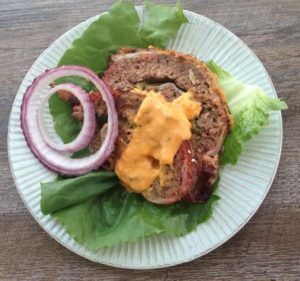 Serve on good quality fresh baked rolls (not hot dog buns) and top with the onion and pepper mix that you sauteed, or with brown or deli-style mustard — or all of the above. If you like Sauerkraut on your brats, Use the fresh Sauerkraut from the refrigerated section of the supermarket. I like to use the Bavarian style with caraway seeds. Heat it in a pan with some course cracked black pepper. Bratwurst and Beer with sauerkraut is one of my favorite grilled foods. It is fun to cook and so delicious. 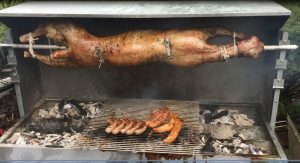 Whole lamb BBQ on a spit is a traditional way to celebrate Greek Easter. But we think it’s an impressive way to do a backyard BBQ whatever the day. So how do you spit roast a 40 pound lamb for your Holiday BBQ feast? I turned to my friends Pete Stamatis and Nick Hatsus MD and they walk you through the process in this video. When I asked the guys about filming their cook I actually had thought I missed the opportunity ( I remembered after my Easter holiday). However the Greek Orthodox church celebrates the holiday later- so I was actually right on time. The Orthodox Church continues to follow the Julian calendar when calculating the date of Easter and there is a thirteen-day difference between the two calendars, the Julian calendar being thirteen days behind the Gregorian. First step is to find a whole lamb and (like a hog) in this Walmart world you might have to search around for a local butcher. The internet is another option where I saw prices of $5.50 a pound hanging weight. Plus expect a $75 processing charge or delivery. Expect $275 to $350 for a 40 to 50 pound lamb. You’ll also need to store it cold until you are ready to cook (something to consider). Then secure your spit roaster. Spitjack is the most popular vendor for roasting tools like these. They are located in Easthampton, MA and if you can’t get to their store you can get almost everything for the same price here. Their model CXB55 Lamb, Goat, & Whole Hog Rotisserie handles lamb and any beast up to 55 pounds or so. 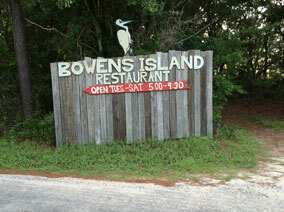 Otherwise, you can rent one from a local all-purpose renter such as Taylor Rental. It’ll cost $75 to $100 for the day. Seasoning on the lamb is done before and during the spit roast (with a baste). After the lamb is on the spit securely the chef will coat the lamb inside and out with lemon, olive oil and a rub of oregano, salt, pepper, rosemary and parsley. Recipe below. Hardwood lump charcaol is preferred and once the coals are covered in a fine white ash set your lamb and spit across the cooking area. Keep the lamb approximately three feet above the hot coals. During the cook slowly lower, incrementally, the animal closer to the coals – not lower than a foot and a half from the flames. Baste the skin of the lamb occasionally during the cook with a combination of the rub, oil and lemon juice. For one chef online with a 37 pound lamb. Cook time was 5 hr 20 mins.—and used 55 lbs Kingsford briquettes. The lamb in the video was 40 pounds and took over 4 hours. The pit in the video is half closed – with a back to the spit – and that will be faster than a spit that’s open on both sides. Plus weather, type of fuel and wind will play a factor. Hogs are traditionally cooked to a pull apart temperature of almost 200 degrees Fahrenheit. With lamb it should be cooked to your liking however you’ll want to hit internal temp of 150 to 160 Fahrenheit (in the thickest part of the thigh. The joints will loosen dramatically when you’re close. Use a meat thermometer to be sure and then remove from the roasting area and let it rest on the carving table for 10 to 20 minutes before carving. Combine dry ingredients in a small bowl and reserve half to combine with olive oil for basting. If you love a good potato – this is a GREAT potato. 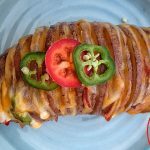 Add just a bit of artistry, time, and care and you get the Loaded Hasselback. All the same starchy goodness of the original Hasselback (feathered buttery crispy) with a Gooey cheese and bacon surprise. Dang it. Just realized we forgot the green onions or chives. You should add that. 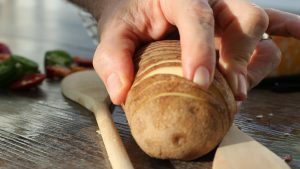 The BBQ Trick is to use two wooden spoons as a slicing guide as to not separate the spud in pieces. All in all the recipe is a lot easier than it looks. As always potatoes take time to soften so give em time to do just that BEFORE adding the cheese. 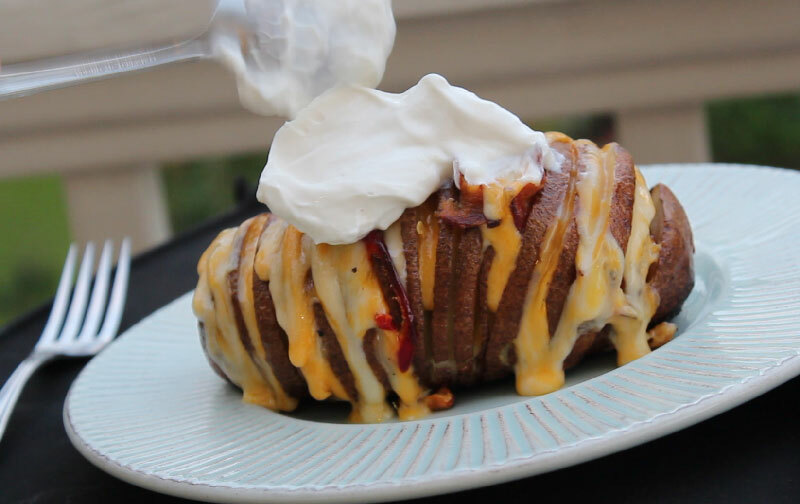 Bonus: watch the video until the end where we experiment with a Hasselback SWEET potato with bacon that was a great treat. Place potatoes on a baking pan to avoid dripping. Season generously with salt and pepper. Tuck pieces of bacon between every other potato slice. Coat potatoes with oil and grill (lid down to roast at 425 degrees for 25 minutes; brush with more oil. Return to the grill and roast 25 minutes more before tucking pieces of cheese and red and green pepper (alternating). Roast until the bacon is heated through and the potatoes are tender, about 10 minutes more. Grill until browned, 1 to 3 minutes. Season; brush with remaining oil. Top with green onions. Top with sour cream to taste. Crispy skin on BBQ chicken can be a tricky thing. The slow roasted fat-rendering is just not something our fast paced world takes care to do. Plus if you’re attempting to slowly smoke poultry a lot of times you can end up with a rubbery skin. 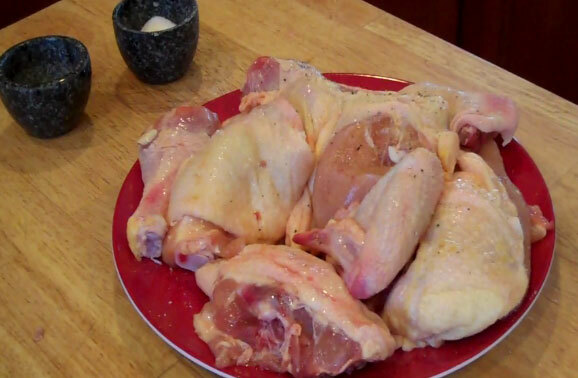 Some competition guys will remove, chill and shave the skins for chicken thighs… that’s a lot of work. Here’s a different method. I think it retains more fatty flavor too. It’s a trick to control the barbecue chicken. It’s easy but takes a bit of time. Four hours prep time to be exact. The secret is in salting the pieces (you can spice the salt a bit see recipe below). I call it a dry brine. Rub your spice blend into the meat UNDER the skin and lightly on the skin surface on all sides. Thenplace the pieces on a pan uncovered in the refrigerator to dry fro four hours. You can experiment with the time if you want but it has worked repeatedly for me with different sized pieces. After four hours remove and if ther is any moisture on the pieces of chicken blot with towel (I did not see any when I did the video). I used a water pan smoker (Brinkmann Gourmet Charcoal) and cooked low (about 270 degrees) for about an hour with pecan wood smoke (wood chips). The result was a golden brown crispy skin that is tought to find without a rotisserie. Internal temp was over 160 so after a quick slather of a sweet sauce I lowered the grate (use the bottom of the smoker without the middle piece or fire up your grill to HIGH) and seared the pieces over a direct high heat. Pay attention here this process is quick and flame ups happen quickly. Be prepared to remove from the grill at any point. 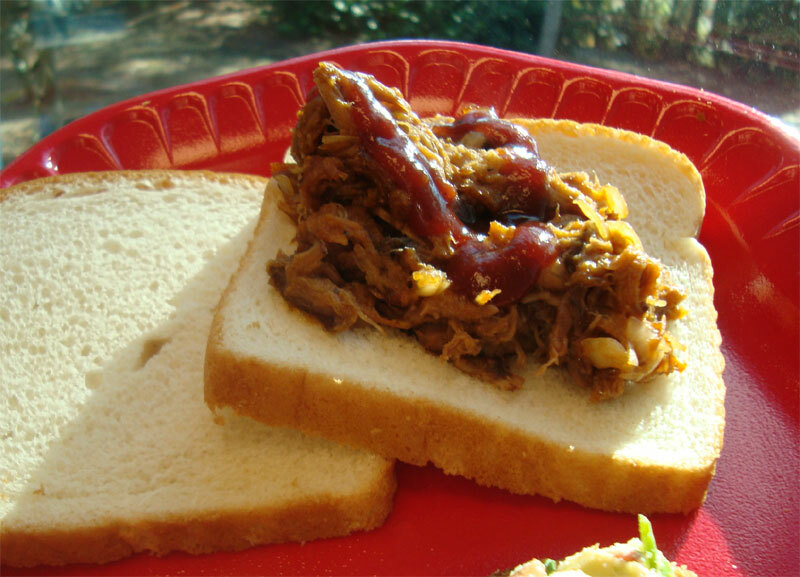 The result was a crispy – bite through – succulent batch of bbq chicken. See the result in the video and “thumb it up” and subscribe if you like. Mix 2 tsp salt and 2 tsp garlic powder together and spread on outside of each piece of chicken as well as underneath the skin. Place in the refrigerator for about 4 hours. This brining technique will produce a crispier skin while preserving moisture in the chicken during grilling. Put the chicken on indirect heat in a charcoal smoker and cook low and slow for about one hour, adding wood chips as necessary for flavor. I use pecan wood. While that is cooking, make the sauce. Heat oil in a deep sauce pan and add garlic and onions until they soften. Add Chipotle pepper and heat for 20 seconds before stirring in the remaining ingredients. Cook on low heat for 20 minutes until thickened. When cool, strain out onion and garlic “chunks” if desired. After smoking for about an hour, move chicken to direct heat, cover generously on both sides with barbecue sauce. Cook for about 10-15 minutes turning constantly to char, basting with more sauce. Be careful as the sugar will burn, so move pieces as flare-ups occur. 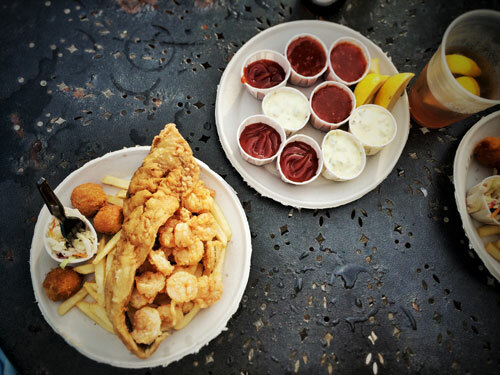 Serve with additional heated barbecue sauce on the side. 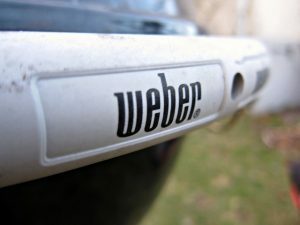 While Weber is most known for their line of charcoal grills, they also make a large variety of high-quality gas grills that are popular with consumers. If your grill isn’t heating up all the way or you have uneven heat, the burners are most likely the problem. Here’s a walkthrough to help you confirm that the burners do need replacement as well as how to do it. Do the burners need to be replaced? The first step is to make sure your burners are in fact beyond repair. Start by making sure the propane tank has enough fuel then look for leaks in the fuel hose by using a solution of water and dishwashing liquid. If you see bubbles in the solution, there’s a leak in the line. In this case you’ll need to order some affordable replacement grill parts to fix the leak. Next, try lighting the burners to high for 10 minutes. Check the spider screens for any blocks that may prevent propane from reaching the burner itself. You can also try resetting the excess flow safety device. To do this, turn all burners off and turn off the valve on the propane cylinder. Disconnect the regulator valve, turn all burners to high and wait one minute. Now, turn the burners off again and reconnect the regulator valve. Turn the valve on the tank back on and test the burners. If these steps didn’t work you’ll need to replace the burners of your grill. Here’s how to do it. 1. Get the right Weber grill parts. You’ll need your model number to make sure you order the right burners. You can either order grill parts online to save money or see if your local hardware store has them in stock. 2. Now, turn off the valve on the propane tank and disconnect the cylinder, removing it from the tank, as well as the cooking grates and flavorizer bars. 3. Remove the control panel by taking out the screws holding it in place. 4. Loosen the burners by turning the nut underneath with a pair of pliers. 5. Pull the burner up at an angle to remove the burner along with the tube assembly. 6. Insert new burners in the same position and make sure the burner tubes fit inside the venturi tubes behind the control panel. The burner tubes don’t actually attach to the venturi tubes but should be at least 1/2″ inside so they don’t become disconnected if the grill is bumped. 7. Reattach the locking nut under the grill to secure the burners in place. 8. Reattach the control panel and put the cooking grate, flavorizer bars and propane tank back in place. 9. Reattach the propane gas regulator to the valve and turn it back on. That’s all it takes to replace the burners on your Weber grill. 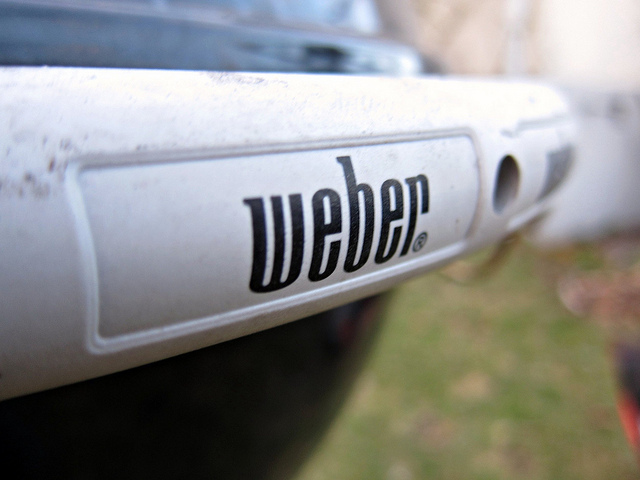 While Weber grill parts are made well, all burners eventually wear out and need replacing. Make sure you order the right parts and you’ll find it’s easy to do the work yourself and save money without buying a brand-new grill. BBQ Grill Parts USA sells a wide variety of gas grill parts including grill accessories, burners, heat plates and ignitors. To restore performance to your grill, check out the selection of parts from top grill brands like Weber, Charbroil and many more. Visit BBQ Grill Parts USA to find replacement grill parts for your grill. Click to watch it being built! A barbecue wok is a traditional very unique and versatile cooking tool which is used for varied food cooking applications like stir-frying, steaming, braising, stewing and even deep frying. This interesting food cooking instrument is the most important piece of cookware to the Chinese and is extensively used throughout Asia and all over the world. A BBQ Wok is a typical bowl-shaped utensil that evenly spreads the heat all over and makes less consumption of oil offering tasty cooked BBQ recipes which are good for health. A barbecue large wok guarantees that the food is tossed back inside and not on the stove during stir-frying. Round bottom wok was few classic designs for BBQ but now there are a wide variety of woks for sale made available for everyone to buy and enjoy the best home cooked barbecued recipes. These traditional Chinese cooking utensils for BBQ are obtainable in many materials, shapes and sizes in the market. Stainless steel wok is a common wok material used in many houses and commercial facilities like restaurants and pantries. This is not expensive and light weight; it easily and quickly conducts heat. Carbon steel wok is also one wok material which is the best and the most rugged BBQ wok. One of the most used one is the hand hammered wok which is the strongest woks as it is hand treated and manually processed. Many people use flat bottom wok since these are easier to use on flat stovetops. A wok is one of the most popular BBQ accessories which make barbecue cooking easy and fun. With a BBQ wok it’s very convenient to cook up some light and tasty vegetables on your barbecue and eat healthy. Non stick wok is generally used to cook small and delicate foods on the grill. It is the best option of light cooking and one can cook BBQ king prawns, grilled fish, delicious vegetables and more on your barbecue. There are some great features of the non-stick ones, firstly it is non-stick, easy to handle, stop food falling through grate, cooks seafood, fish & vegetables perfectly, places on top of your existing grate and dishwasher safe. Another commonly used BBQ woks are the cast metal wok with holes. It’s great for barbecuing vegetables, fish, and/or small pieces of meat. Professional wok is made especially for the master chefs who chance the perception of barbecue cooking. These types are well in reach with the home kitchens and are well known as commercial wok, which makes barbecue cooking time saving and easy. There has also been modernization in BBQ woks like the electric wok makes barbecuing easier and faster. These electric ones are non-stick BBQ equipments and are also very easy to maintain which comes with temperature control feature. This BBQ wok type has a heat resistant base and handles. This particular type will not tend to burn the oil or make your kitchen all smoky. BBQ Woke provides some of the most perfect and exotic cooking results. Wok cooking utensils and different types of BBQ woks offer easy and nutritious cooking experience with great satisfaction and without the worry of spilling food particles over the stovetop. For more information on [http://www.cooking-woks.com]Cooking Woks and [http://www.cooking-woks.com/differenttype.html]Different Types of Woks please visit our website.